Have you been wondering about Instagram and how to use it? Technology can be a real beast for women of a certain age. I know that I have struggled to understand all the newest things that people rave about online. Here I am, a woman who has an online business, and I confess that I have been confused over Instagram. Should I use it? If so, why? And the real question…who is going to teach me to use it? Because let’s be honest, it can be pretty intimidating to figure out new social media stuff. That’s why I wanted to write this series of posts on one of the most popular social media platforms out there – Instagram. Because maybe you don’t quite “get it” either. 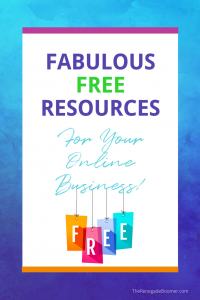 As I learn how to navigate some of the most popular online platforms, I want to take you along for the ride and show you how to not only use them but how to leverage them for your online business. Instagram is far and away the hottest new kid on the block when it comes to social media, even though it isn’t actually very new at all. 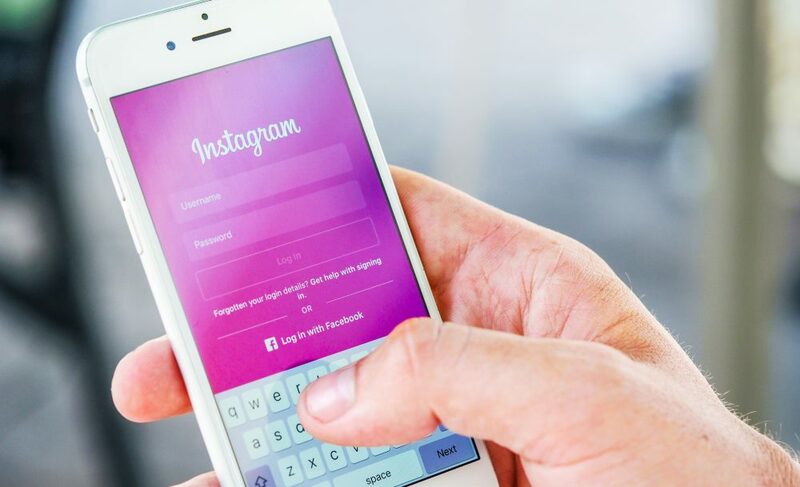 Instagram launched in October of 2010 but it has gained in popularity by leaps and bounds, over the past couple of years especially. 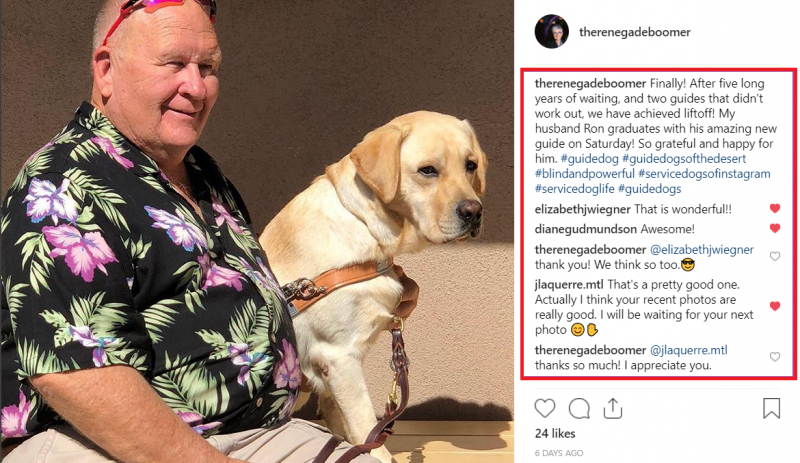 Most of the younger generation left Facebook and went over to Instagram when their parents (and grandparents) started using Facebook, which I find absolutely hilarious. So what do we do now? We follow them to Instagram, of course! 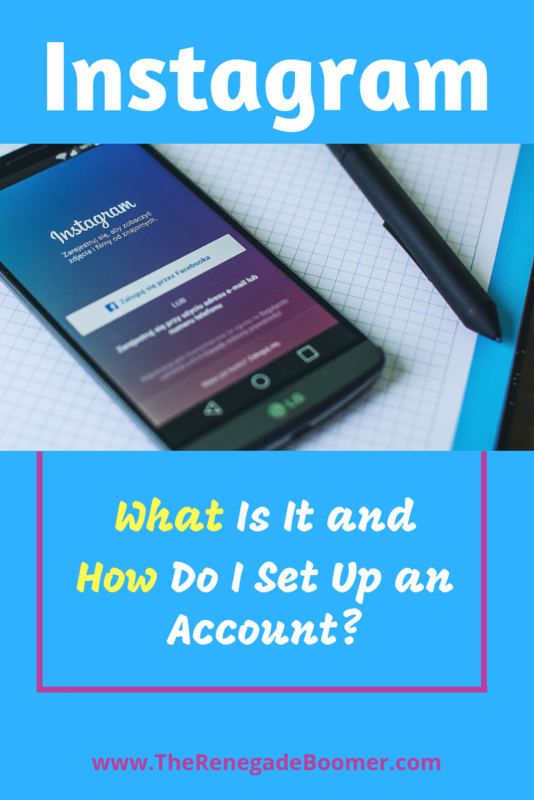 Today, let’s talk about what Instagram is exactly, why you need to know, and how to set up your account. In future posts, we will talk about how to use each feature of the platform, how Instagram can help your business, and finally, how to set up a marketing plan for your business using Instagram. Are you ready to learn all things Instagram? Great! Let’s jump right in together. Before we get too deep into the more technical aspects of Instagram, let’s talk about what it is. Instagram is a social media platform that is visually based. Users can share photos, videos, and even go live on the platform. The point of Instagram is to gain followers that will like, and hopefully even share, your posts. You can follow them back, find more people to follow, and find high-quality content to share. Instagram is a great way to build an audience online. 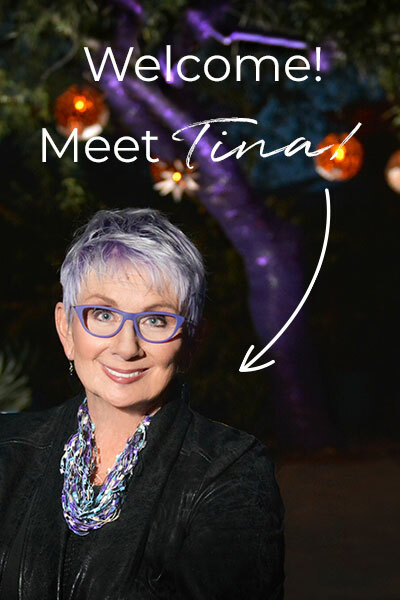 It’s a great way to connect with your audience and get to know them and allow them to get to know you in a more authentic way. Instagram allows you to share pieces of your personality with your audience that other platforms don’t offer. Instagram is an effective way to find brands that will sponsor content on your blog. We will talk about this in depth in another part of this series but for now, just know that if you want to do sponsored brand work, your Instagram presence is something you need to get very serious about starting right now. Don’t worry, this series will teach you what you need to know to build a firm foundation on Instagram! Why Is Instagram Important to Me as an Online Business Owner? 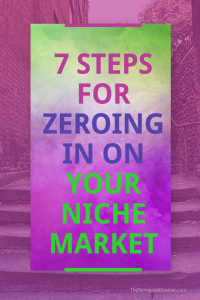 Owning an online business can feel overwhelming at times simply due to the sheer number of things you need to do and places online that you need to be. 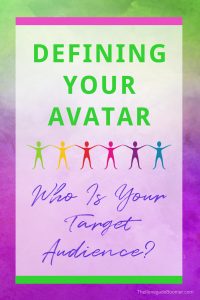 From Facebook to Pinterest, from blogging several times a week to studying your analytics to see what’s resonating with your audience, you are already busy enough. You don’t need one more thing to do unless it is going to make a real difference in your bottom line. #1 – Instagram allows you to build trust with your followers. If you want your audience to not only stick around, but to also make purchases through your affiliate links or buy products you create, you have to help them learn to trust you. People buy things from those that they know, like, and trust. Instagram will help you develop that type of trusting relationship with your audience. 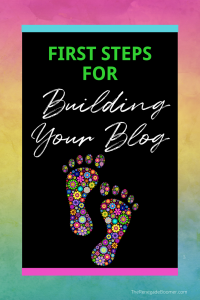 Using Instagram to show your followers a side of you that you just can’t get across in a Facebook status or a blog post allows your faithful followers to feel like they know you on an even deeper level. Think about it for a minute; who are you most likely to trust when it comes to making a purchase? Some Facebook ad from a person you’ve never heard of? Or your best friend? A television commercial or your sister? You want to be the person that your readers turn to for advice. In order for them to see you as that person, you have to develop authentic relationships with them. And that begins by letting them get to know you. The real you. Not just the pretty pictures of your house right after the cleaners leave but the back porch with the dirty boots all over it. #2 – You can increase engagement with your audience. Do you know what engagement is and why it’s so crucial to your business? First of all, engagement is not someone just liking your post. Engagement is when someone takes that next step and shares your post, comments on your post, or sends you a direct message on Instagram. Why does engagement matter? Simply put, engagement shows others that you have a specific audience and they are interested in what you are offering. If you want to monetize your business, engagement is what will get you there. Brands that work with bloggers on sponsored content want to see that you have a truly engaged audience. You don’t have to have a huge audience. Don’t worry about trying to reach some magic number like 1K or 10K. Just start working on engagement with the audience you do have. If you have 100 followers, that’s the same as having 100 people waiting to hear from you. How do you engage those 100 people? Stay tuned. We are going to cover that in depth. I promise not to leave you hanging. For now, just know that increasing audience engagement should be your number one priority once you get some followers. #3- Increase your opportunities for paid sponsorships. 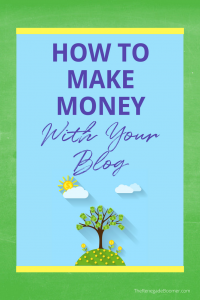 One of the easiest ways to monetize your blog is through sponsored brand campaigns. This simply means that a brand or company pays you to write about their product. Now, I don’t want you to think that this has to be some kind of slimy, sleazy sales pitch. You should write authentic, story-driven content that includes the product as part of the story you tell. When brands see that you have a highly engaged audience and you know exactly what they want from you, those brands will be excited to work with you. 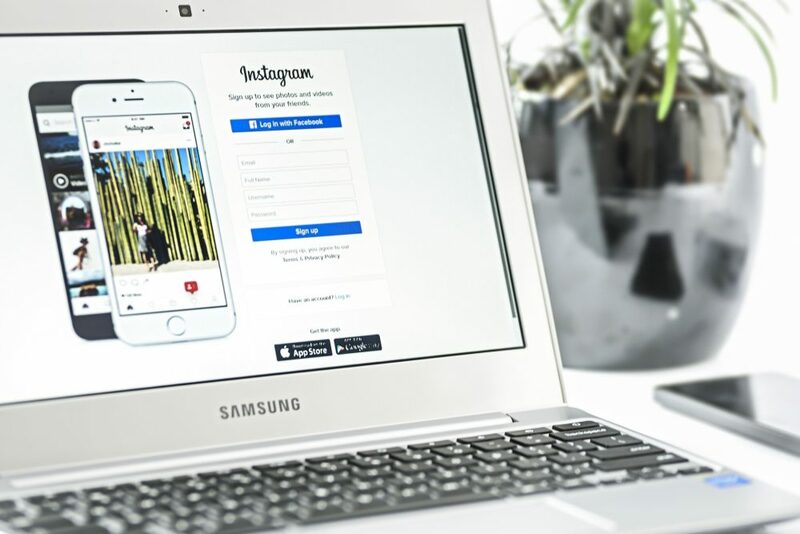 If you want increased opportunities to work with brands, you need to begin to connect with your audience on Instagram. How Do I Get Started on Instagram? 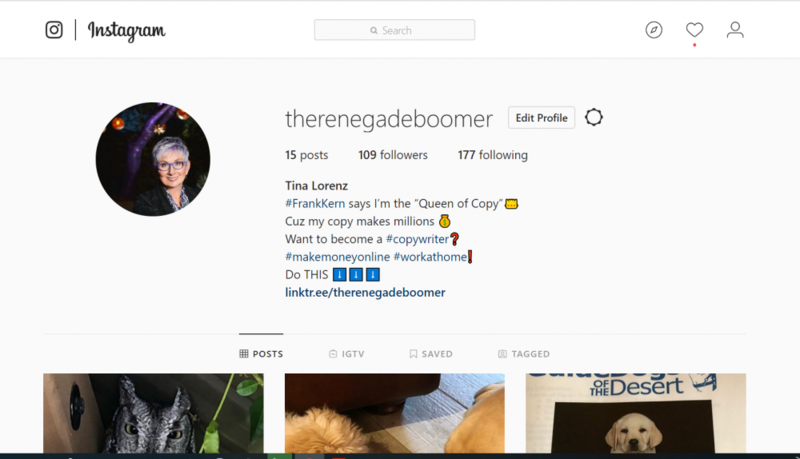 Now that I have convinced you how important Instagram is to your online business, it’s time to get down to the nitty-gritty and learn how to use it. We are going to go step-by-step and include plenty of screenshots so that by the time you finish reading this post, you will have an Instagram account all set up. Don’t worry about how to use it yet…we will get to that in the next post because there is a lot to learn! Getting your account set up > The first thing you need to do is go to the App Store on your phone and download the Instagram app. It is a free app so you don’t even have to enter credit card information if you choose not to. Just type Instagram into the search bar in the App Store and click on the Instagram option when comes up. When the Instagram picture pops up, click “GET” and then Install. 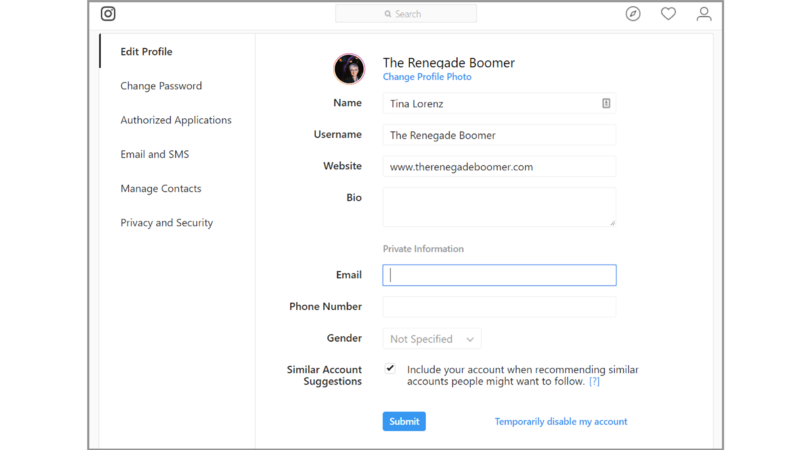 You may be asked for your Apple ID and password. (If you use an Android device, follow the steps that it gives you.) Go ahead and type those in if required. (Some of you will have the thumbprint option to install an app.) The app will now download to your device. Once it is fully downloaded, go ahead and click on it to open it. Your next step will be to set up your account. You will need to decide on your username and password first. You can use your real name or the name of your business. Don’t use something cutesy that has nothing to do with you or your business. 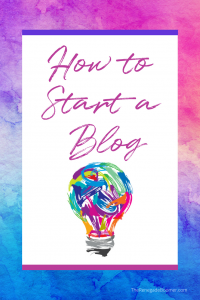 If you have a blog, use your blog name if it isn’t taken. Your username is important, so choose wisely. Follow the prompts to choose a profile photo for your account. You can use a photo already in your camera roll or take a photo right then. Be sure to use a good quality, headshot-style photo. You want your followers to know what you look like. If you click on the person icon on the bottom right of your screen, you can add a link to your website and a personal bio. You want to make your bio tell a story. You have 150 characters, including spaces, in which to say what you want to say. Use keywords for your business in this space. And they don’t have to be complete sentences. You really don’t have room for complete sentences. I highly recommend you look at bios of other people in your industry and see what their bios look like to get ideas. And keep in mind, people change their bios all the time so you aren’t stuck with what you write. Once you have your bio filled out, you are officially on Instagram!! Throw some virtual confetti and let’s go on to the next step. Find the People You Want to Follow > Your next step is finding people to follow. You can search by a person’s name or username if you know of some already. Your search button is at the bottom of your home screen at all times. It’s the magnifying glass icon. 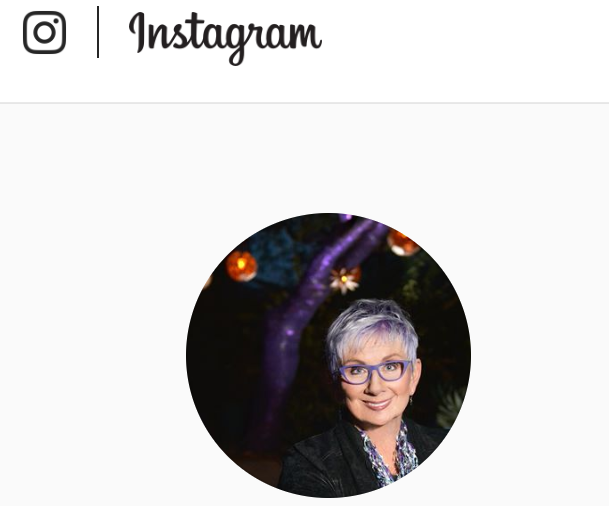 Perhaps there are a few bloggers you enjoy reading; go to their blogs and click on the little Instagram icon where they have their social media icons (usually at the top of their homepage) and that will take you to their Instagram account where you can click the blue Follow button. You won’t see anything on your Instagram home screen (also called your “main feed”) until you follow some people. Do that now. Go to the search tab and enter the names of some people you want to follow or click through some blog links. Once you are following some people, you will see all of their posts in your main feed. When you see a post from someone you follow, you can either click the blank heart underneath their post or just double tap the post to tell them you’ve seen it and you like it. Ready to practice? You should be seeing several posts in your main feed if you followed some people in the last step. Practice double-tapping on their posts and watch the blank heart turn red! This is the first way to interact with people on Instagram, by liking their posts! But remember, Instagram is all about engagement so you definitely want to also leave comments for people on their posts. You can do that right underneath their post. Just click on “Add a comment” and type away. Be genuine in your comments; you aren’t commenting just to get them to notice you. You are looking to build authentic relationships with people. More about that in a future post! Now you have an Instagram account and several people you are following! You are engaging with people and building relationships. Wasn’t that easy? I am so proud of you for getting your account set up. And it wasn’t even hard, was it? Sometimes, we just need a little bit of coaching along the way from a friend and that’s exactly what I want to be for you. A trusted coach who understands where you are in life and a friend to hold your hand as you discover new ways to grow your business online!